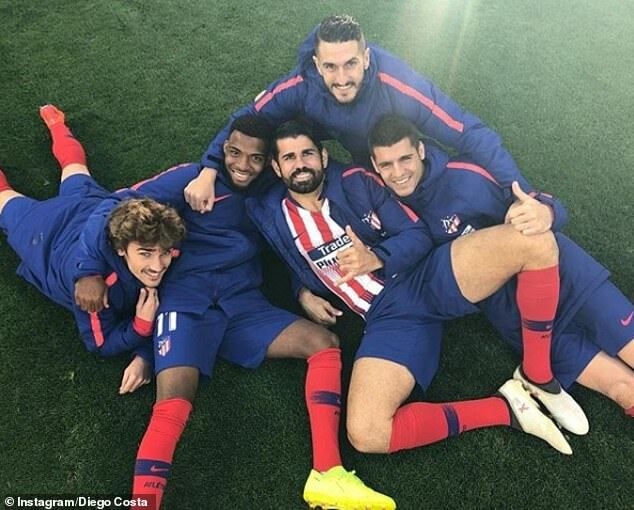 Atletico Madrid striker Diego Costa appeared to be enjoying himself as he relaxed after a training session at the club’s Wanda Metropolitano stadium. 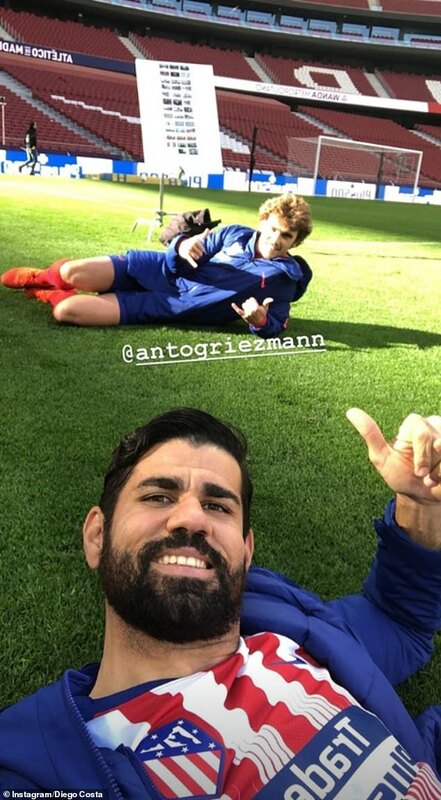 Costa could be seen laying on the pitch with team-mates Antoine Griezmann, Thomas Lemar, Koke and January signing Alvaro Morata. In another post he gives a thumbs up with Frenchman Griezemann also laying down nearby. The squad spent the morning preparing for the weekend’s La Liga clash with Rayo Vallecano at their new stadium. After their clash with Rayo, Atletico then visit Juventus for the first leg of their Champions League last-16 tie. The club are currently third in La Liga, six points from leaders Barcelona and a points behind city rivals Real Madrid. 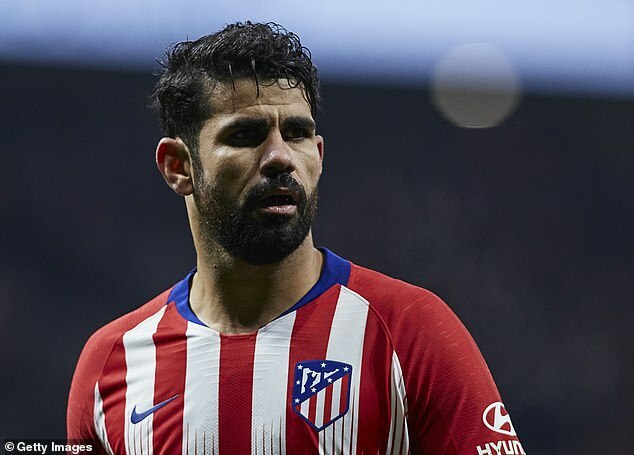 However, Diego Simeone’s side have lost their last two games – including defeat to Real – but remain seven points ahead of Sevilla in fourth.